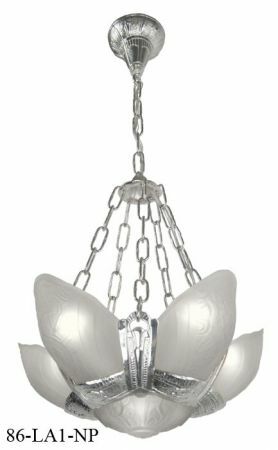 Here is the top of the Lincoln Manufacturing Fleurette line, a chandelier with 6 lights capable of a 100 watt incandescent bulb per socket. This fixture comes complete with pressed glass shades, which have the most lovely Art Deco floral design motif. 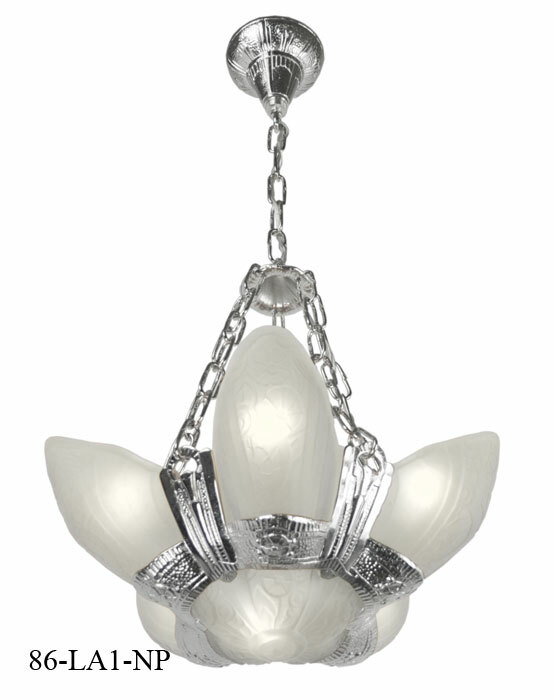 Our reproductions are created from original antique fixtures, using the Lost Wax casting method. 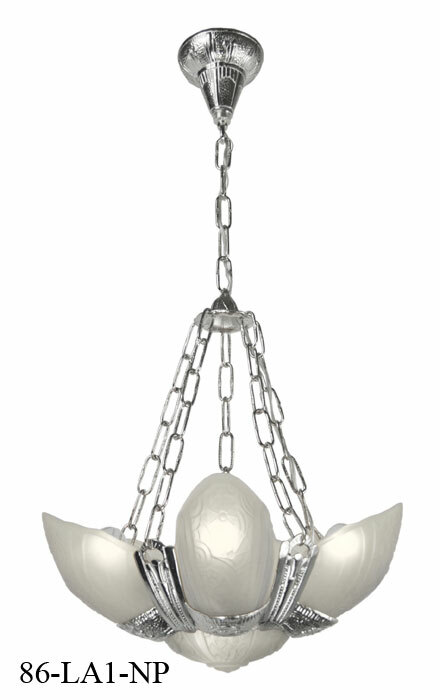 Height: 29 ½" in height, but can be shortened to as little as 16 ½" by removing chain links. Wattage: UL rated for up to 100 watts per socket, yielding a potential total of 600 watts. Matching 2-light pendants, 5-light fixtures, and wall sconces are also available. 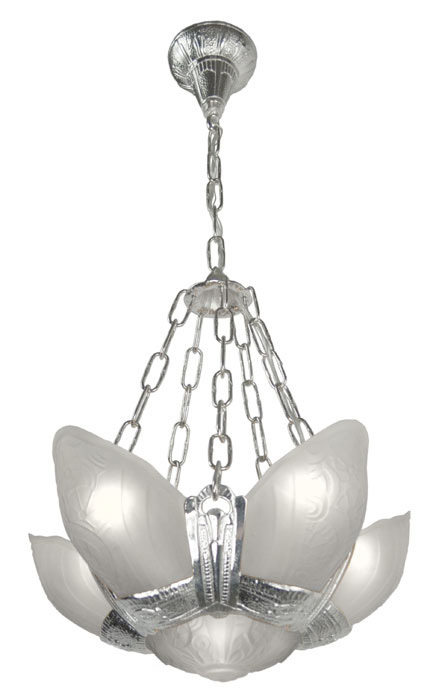 If you already own a Fleurette chandelier or sconce, we now sell Replacement Slip Shades.